Entry-level, dual stereo audio processors for automatic, intelligent loudness management using Jünger’s Level Magic algorithm. Compliant with ITU-R BS.1770 and derivatives. Two versions are available, with Dante I/O + AES3 or SDI I/O + AES3. Web interface for unit setup, configuration and routing, including a dedicated ‘Mobile UI’ for use on smartphones, tablets, etc. Jünger’s Level Magic loudness management algorithm is included in several other audio processors specifically designed for broadcast use. The D*AP4 LM EDITION is a 4-channel unit incorporating parametric EQ, comprehensive dynamics control and voiceover functionality. The 8-channel D*AP8 TAP EDITION extends this feature set to surround sound, and includes upmix and downmix capability for current Dolby® encoding formats. 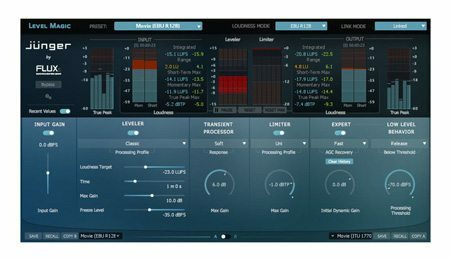 The EASY LOUDNESS processors are designed to provide simple and effective management of audio loudness in stereo broadcast production. Based on Jünger’s well-established Level Magic adaptive loudness algorithm, they give the broadcaster excellent consistency of audio loudness across many differing types of programme content. This smooths out the often disparate and unpredictable audio levels fed into the broadcast chain from different sources. Once set up, they are completely automatic in operation, leaving the sound supervisor free for other tasks. Level Magic ensures that program levels remain within predetermined tolerances at all times. This is achieved without the colouration, pumping, breathing or modulation artefacts often generated by other audio level controllers. A separate true peak limiter section ensures that output levels never exceed a predetermined maximum. 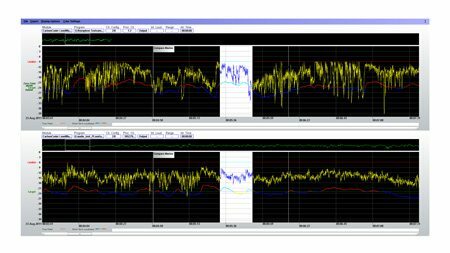 Local regulations may require continuous real-time measurement of loudness and true peak levels: EASY LOUDNESS processors make this information available through their web browser interface, allowing monitoring to be carried out from any location. If a record of transmission levels needs to be retained, the optional J*AM software application may be used for logging and offline analysis. Level Magic is compliant with all revisions of ITU-R BS.1770, and numerous standards derived from it including EBU R128, ATSC A/85, ARIB TR-B32, Free TV OP-59 and Portaria 354. The built-in web browser interface permits configuration and setup of EASY LOUDNESS units to be performed on any network-connected device. The interface includes real-time onscreen metering and loudness measurement. Jünger has developed a ‘Mobile UI’, a version of the interface specifically optimised for smartphones and tablets. 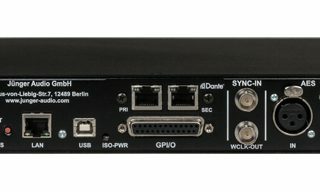 A 1U hardware remote control/metering unit, the X*AP RM1 is also available: this can connect to multiple EASY LOUDNESS units (and most other Jünger processors) for installations where hardware control is preferred. Two versions of EASY LOUDNESS are available, which differ in their audio I/O provision. EASY LOUDNESS AoIP has an AES67-compliant Dante interface, which caters for up to 8 audio channels (defined by Dante Controller software elsewhere in the network). EASY LOUDNESS SDI has an SDI video interface (3G/HD/SD), which can carry up to 16 audio channels. In both cases, the web interface permits the selection of a stereo pair of channels to be processed, and full routing of inputs to outputs. Both versions also have a separate AES/EBU input (in both AES3/XLR and AES3id/BNC formats) which will normally be used as a fallback source in the event of failure of the primary Dante or SDI signal. EASY LOUDNESS units are also provided with an external sync input and wordclock output: sync selection is made via the browser interface. An 8-way GPIO port (a 25-way Dsub connector) may be configured to recall presets. The units are also compatible with Ember+ protocol, permitting them to be integrated into broadcast automation systems. EASY LOUDNESS units are also compatible with SNMP monitoring software. Dual, fully redundant internal PSUs are fitted with independent AC inlets and switches. Hard-relay bypass is included to maintain signal feed in the event of power failure. 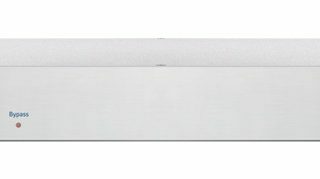 The processors are 1U 19” rackmounting units; the front panels are fitted with LEDs confirming operation of each PSU, activation of bypass mode and unit status.